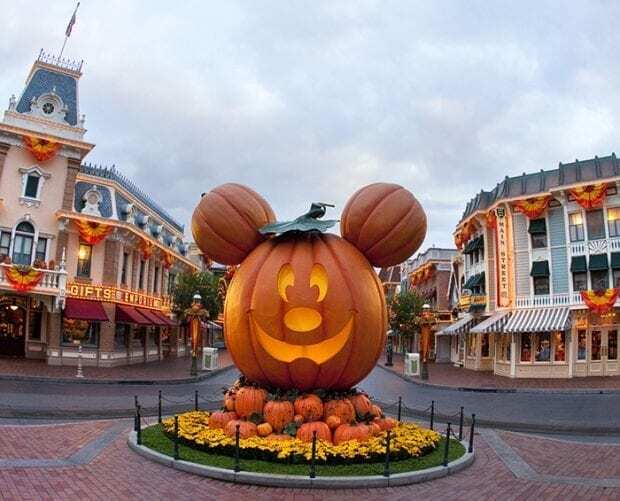 Disneyland and Magic Kingdom over in Walt Disney World both have after-hours ticketed Halloween celebrations. Mickey's Halloween Party happens at Disneyland and Mickey's Not-So-Scary Halloween Party is the Walt Disney World version. Is Disneyland's version better? Let me explain the difference between Disneyland Halloween and Walt Disney World Halloween parties. 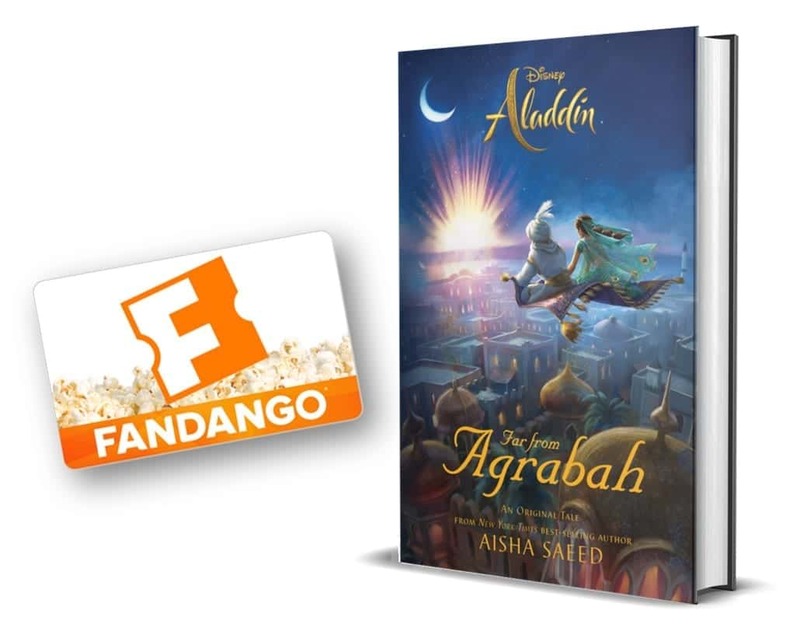 So grab your best Disney costume and see which one is your favorite. Pricing for the Halloween party is different depending on the night you are going to the party. 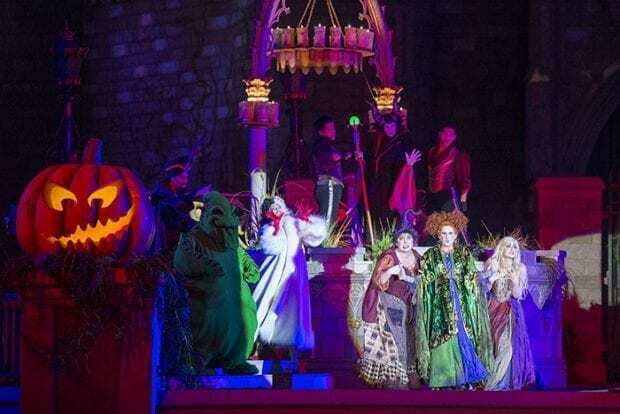 Disneyland Halloween time has fewer parties and a shorter time span. The ticket prices are also much higher with a low of $105, but you get access to two parks. Magic Kingdom's Mickey's Not-So-Scary Halloween party starts at $75. The Magic Kingdom has children's pricing for kids under ten, but Disneyland does not. First off the events are very similar. Both are family friendly and highlight trick or treating for kids. The scariest thing at Disneyland's Halloween Party is Ghost Galaxy. This is the Haunted overlay for Space Mountain. The Magic Kingdom will be playing a new soundtrack in Space Mountain this year. Disney doesn't really “do” scary, but it's best to be prepared because there are a lot of villains that come out during these Halloween Parties. In fact, it's one of the only times you can see some of these villains in the Disney Parks! It's a treat if you are a Disney Halloween fan! The entertainment for both parties is similar. Both have parades led by the Headless Horseman, and both parades feature Haunted Mansion ghosts. 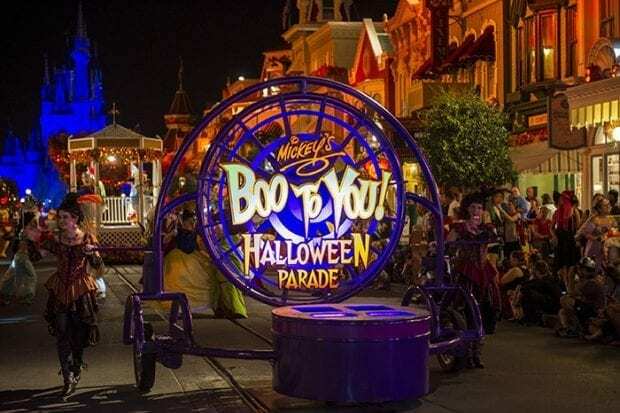 The Frightfully Fun Parade at Disneyland and the Boo-to-you parade at the Magic Kingdom are similar in concept but have completely different tones. Frightfully Fun is smaller in scale and feels more like a procession than a parade. Boo-to-You is more lively and catchy. It also features fewer villains and more Mickey, Pooh and other classic characters, plus Wreck-it-Ralph. The Fireworks are also different in the two parties, though both feature villainous medleys and ghostly projections. The Cadaver Dans also entertain guests on Main Stream in both parks, but the only Magic Kingdom has the Hocus Pocus Spelltacular. Disneyland has two major ride overhauls for the Halloween season. 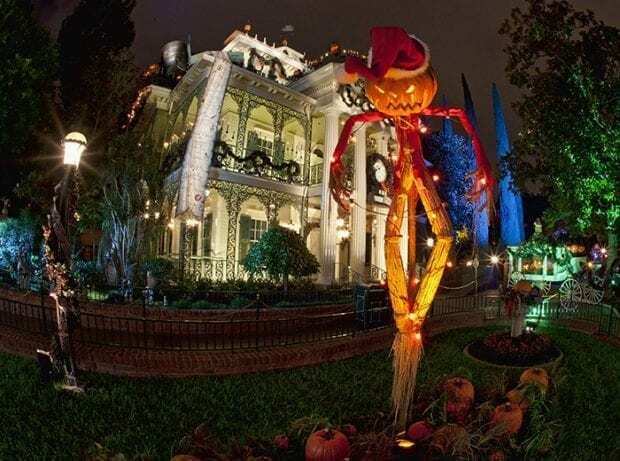 Haunted Mansion is entirely made over to The Nightmare Before Christmas story, complete with an audio-animatronic Jack Skellington and a painstakingly elaborate ballroom scene. In Tomorrowland, Space Mountain gets a sci-fi horror twist with Ghost Galaxy. In this version of the ride, guests travel to the far reaches of space where ghostly occurrences have been detected. The outside of the attraction sets the tone beautifully with loud shrieks emanating from the mountain and creepy lighting effects. There are also ride overlays at Disney California Adventure which I will touch on in a moment. The Magic Kingdom has no Nightmare Before Christmas overlay for the Haunted Mansion, but they do put a little more effort into the existing theme for the party. They too will be retheming Space Mountain this year. It remains to be seen to what extent they have gone to. They have also added new effects to the Mad Tea Party and created an interactive experience for Pirates of the Caribbean. The Disneyland Halloween Party Ticket includes access to Disney Calfornia Adventure as well so that guests can enjoy Radiator Screams. 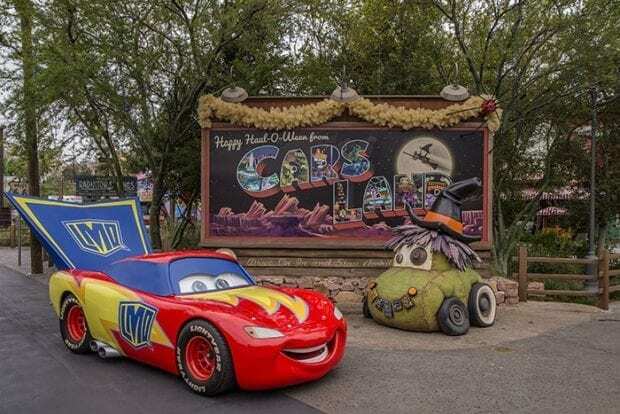 You'll see costumed Cars characters, and ride overlays life Mater's Graveyard JamBOOree, Luigi's Honkin' Haul-O-Ween, and Guardians of the Galaxy Monsters After Dark. Disneyland has the Main Street Pumpkin Festival that includes the giant Mickey Mouse Pumpkin, and lots of unique hand carved pumpkins. You'll also get to see Oogie Boogie and a Headless Horseman statue that smoke comes out of the horse's nose! Along with Radiator Springs transforming into a Haul-O-Ween party. You also get the bonus of Coco / Day of the Dead decorations. You can only see those at Epcot in Walt Disney World. Fall in the Disney parks is my all time favorite time to visit! Both parks have add-ons. At Disneyland, you can enjoy a Prix Fixe 3-course meal at The Blue Bayou and reserved viewing for the Frightfully Fun Parade for $72 per person ($29 for kids). At the Magic Kingdom, it's a Hallo-Wishes dessert party, where guests are lavished with endless desserts and snacks before being escorted to a priority viewing spot for the fireworks. Prices vary. So which Halloween party would love to attend? Tell me in the comments!